It's really hard to find the perfect lip balm. At least I think so. Some aren't the right formula and some simply don't get the job done. So I thought I would share my favourite lip balms. 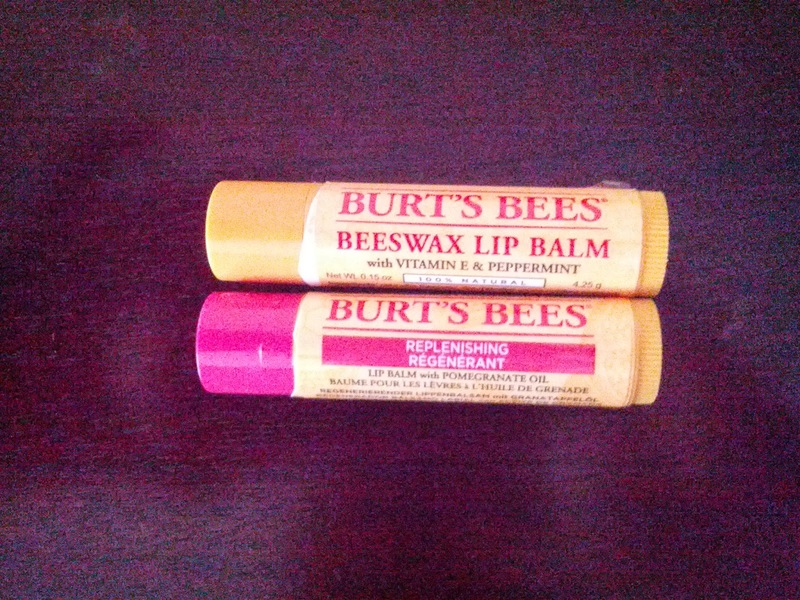 I have two and they are: Burt's Bee and the EOS lip balms. I swear by these! I've tried a lot over the years, but I actually got the Burt's Bees as a gift and fell in love with it ever since. It's really moisturizing and heals my lips almost overnight, it seems like. I've only every tried it in the Beeswax (smells like Peppermint) and Pomegranate scents. Love them both! This product is pricey but I think it's worth it. I like that it's 100% natural. 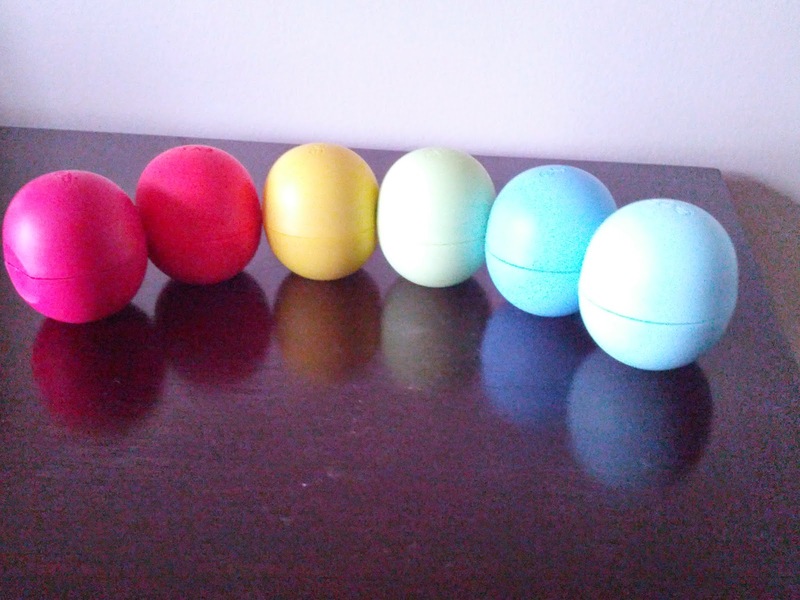 I initially bought the EOS lip balms because EVERYONE was talking about it. So, naturally I had to get it. I think my first scent was the Strawberry Sorbet and it did not disappoint! I love these lip balms! They are definitely moisturizing and they don't give your lips that greasy or sticky feeling some brands can leave. I also like that it's 100% natural. I have the Strawberry Sorbet, Honeysuckle Honeydew, Summer Fruit, Sweet Mint, Blueberry Acai, Pomegranate Raspberry and Lemon (I found the Lemon scent when I visited an CVS in Chicago). I just saw on their website that they also have a Vanilla Mint and Coconut Milk scent as well. I'm totally in for trying those! Also, let's all take a moment to appreciate the really cool and awesome packaging that this product comes in! Whoever created it, is a genius! What I love the most about it, is that you can actually find the product in your bag when it's at the bottom of your pursue, since it has such a unique shape (Life saver!). I will definitely keep re-purchasing these lip balms for my lip care routine. Let me know what your favourite lip balm is!